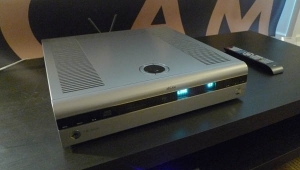 How to sum up the smallest high-end showing ever at a 21st Century CES? While it seems likely that CES trade-show attendance in general was down just a bit this year from the 2016 high of 177,393, the official estimate of "more than 175,000 industry professionals, including 55,000 from outside the US" stands in sharp contrast to the scene on the upper floors of the Venetian Tower, where some hallways that had formerly been packed with what CES calls "high performance" exhibits and industry people were now dominated by tech-company exhibits and visitors. When all is said and done, one pre-show count of 157 high-end exhibitsat least 40 fewer than 2016did not account for several rooms that were reserved for meetings-only. On that score, Jon Iverson's fabulous Simmons blog speaks volumes. The reasons for the shift are many. First, there is the rise of Munich High End as the show where European and North American industry people unite. It may be a consumer show, while CES is trade-only, but that does not seem to prevent a helluva lot of industry transactions from taking place. People seem to find a way to deal, and the most affordable way, especially if they have European dealerships or distributors, seems to be Munich over Las Vegas. 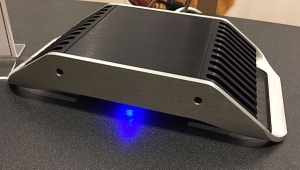 Secondly, there is the rise of the major US shows: Rocky Mountain, AXPONA, and some yet-to-be-determined shakedown between the new Los Angeles Audio Show and the continuing-in-a-new-month-and-location T.H.E. Show Anaheim. Lots of deals and check-ins take place there as well, along with many of the product premieres that used to be reserved for CES. Hey, I remember when I virtually had to run room-to-room in the Venetian in order to cover my territory. This year, I was able to spend over half a day at the Las Vegas Convention Center, covering the all-important Hi-Res press conference and pavilion; perform duets with light worker in ukulelist guise, Jake Shimabukuro; sleep over seven hours every night; and return home to complete my blogs in record time. Which is not to say that covering CES remains anything less than an exhausting experience. As I type, Art is still editing furiously as some of us are still submitting blogs and, in Jana's case, editing video. Finally, there are the price and environment issues. The CES room prices at the Mirage Hotel have risen so high that the place wasn't even full. Evil Uber wasn't price-gouging the way it was last year, at least not when I arrived on the afternoon of January 4, but hotel and food prices were absurd. As for the environment, CES has to be the only show where you need to either change clothes every day or come out smelling like a walking advertisement for tobacco companies. 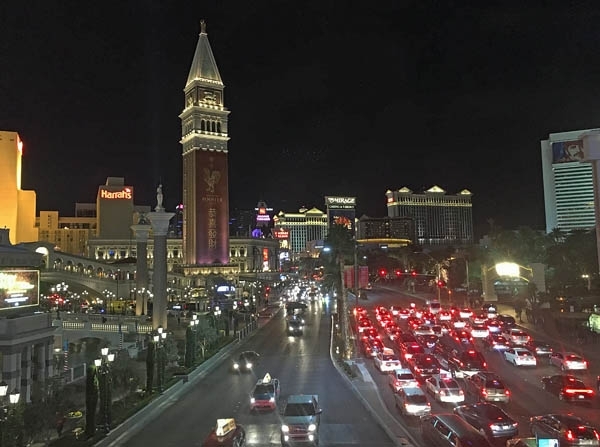 And if you're not into gambling, drinking, spending huge sums on meals and entertainment, or denial, Las Vegas has virtually nothing to offer other than noise, crowds, and mind/environment-desecrating glitz. I confess that when I wrote the As We See It, "What if They Gave a CES and Nobody Came? ", I did so as an act of wish-fulfillment. We definitely found the show to be quite slow, and I know other manufacturers felt the same way. A number of our reps didn't come, and I only had a few people come in the room who were looking to possibly take on our line. (Maybe 4?) Only a few of our dealers attended, so that is disappointing as well. Several of my reps told me they didn't have many of their dealers attending the show. so not huge amounts of time in the room when we were bored with no one to talk to. But ideally we would have liked to see more dealers, more reps, and more dealers who are checking out the line. that partially has to do with the slowness of the show, and partially just our way of doing business. Every year we evaluate how many shows we want to do, and whether to only focus on the big ones or also include some local shows. Until now, we've never missed a CES, and only missed RMAF once.Anon. In addition, I've been watching manufacturer postings on Facebook, and dialoguing with others on the phone and via email. Not only am I encountering multiple declarations that exhibitors will not return, but I'm also reading stories of how many people got sick flying to and fro. The consensus is: high cost, major hassle, and low return. With more and more folks saying that it just isn't worth it, I expect that CES2018 will host well under 100 "high performance" exhibits. From a press standpoint, while CES2017 was much smaller than before, it still offered plenty of great musical experiences and enough enticing premieres to make our effort worthwhile. 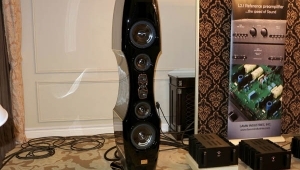 But with similarly great musical experiences available at consumer showseven at the ever-enjoyable Munich High End, whose horrible room acoustics derail many an exhibitand lots of premieres migrating away from Las Vegas, CES as a high-end showcase is in marked decline. Without a doubt, there will be fewer members of the high-end press wandering the hallways of the Venetian in 2018, trying to figure out if "XYZ Industries" is a high-end company or a chip manufacturer. Jason, I think your assessment is far too generous. I scrupulously reviewed all the show maps and guides, and could come up with only 117 audio exhibitors in the Venetian. One could be the Devil in Disguise and pop the question (which I ask rhetorically, without expectation of reply), so, if you knew attendance would be that small, and you chose not to exhibit, why did you and several other people who had publicly damned CES and nixed the notion of exhibiting turn around and go to Las Vegas to walk the halls and conduct meetings? Have you still not found an alternate venue that will work just as well? And I'll say that nearly all of that which we accomplished can now be done elsewhere, at lesser cost. Believe it or not, I was reluctant to give up on the old girl. My first CES was in 1989, and I do have some emotional ties to the show. But: the focus of the show has shifted, farther away from home entertainment, and more into connected everything. That's neither my business, nor my love. I suspect that going forward, many of my colleagues will be scrutinizing the cost: benefit of the show. And I suspect that many---like me---will find it hard to justify. Sorry, old girl. You just don't do it for me any more. Winter CES and Summer CES ( in Chicago ) were thrilling events. You'd meet people like Art Ferris ( Audible Illusions ) in an Elevator, Paul & Stan of PS Audio were a treat. Back then we had 11 or 12 High-End Dealers in the Greater Detroit Area, the Reps drove Aston Martins. Digital came in 1985 killing off Vinyl and most of the Retailers ( me included ). People wanted Home Theater, not High-End. Today folks want Chord and Focal Headphones, the vast majority of the Brick Retailers are Looooooong Goooooone, ( we still have a Linn Dealer in Ann Arbor that does headphone Shows ). I haven't met one single "Cost no Object" buyer in 20 years ( how many are there? ). 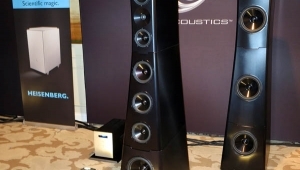 Winter CES is still very good for stuff like Drone Quadcopters but High-End mostly exists ( only ) in the fantasy pages of Stereophile ( I'm a print subscriber ) and the pages of TAS ( not a print subscriber ). Stereophile is well written and fun to read, TAS not so much. Now, if the new girl is doing Video coverage, Stereophile will become all the more interesting. Bout time for all y'all Stereophile writers to get a jiggle-cam and some lessons from Tyll. 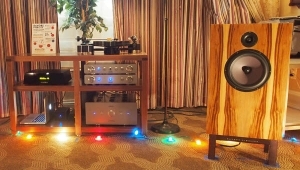 I looked at all of Stereophile's CES coverage, I congratulate you ( and thank you ) for the efforts, you deserve and earned "hazardous duty Pay". 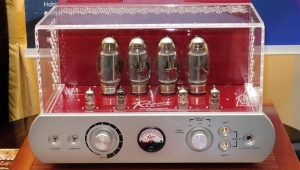 "High End" killed the audio star. 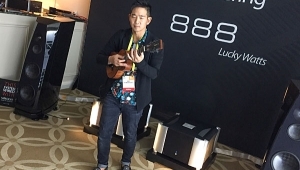 I wonder if the ultra-high end realized Jake Shimabukuro flushed them down the toilet. To be clear, I'm a big supporter of cost-no-object companies and products. They are our moon and mars shots while the rest of us still fly in planes and drive around in cars. If someone else can support them to make this happen, then fine, since I can't afford it. And not affording it does not make it bad in my book. Again, my comments above should not be seen as a condemnation of CNO. But I still think The Venetian is not the place for the larger, more value-oriented part of audio. Just my opinion. Jake's recordings sounded glorious on these CNO systems. Just knowing this is possible provides satisfaction, whether I can own it or not. I can't walk on the moon, but knowing someone did is hugely rewarding. When someone finally does walk on Mars are we going to say, screw that I can't afford to walk on Mars? 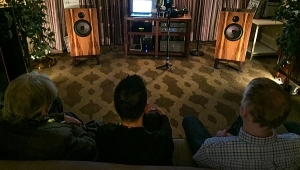 What we can all do is go to an audio show and hear what is possible. And someone else took the risk to pay for it and the time and effort to develop it. That works for me! Mr. Iverson makes a good point. Vegas isn't ideal any longer. Hobbyists have plenty of options. My local Rockler woodworking store is slammed with paying customers buying stuff like Bar Clamps and Router Tables and $400 No.4 Wood planes. The Local Hobby Shop is selling a wide range of remote control Drones, Fixed Wing Airplanes, helicopters, etc. to a wide range of our peer groups ( who would've been potential Audio buyers ). Can we imaging any of these people renewing their interest in Record Players or multi-thousand dollar wiring? 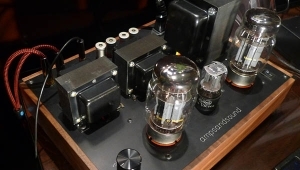 To Mr.Iverson & Stereophile Staff : Thanks for trying to keep Audio interesting, you need a YouTube Channel. Thanks for attempting to keep Threads interesting, you need a YouTube Channel. You can list Hobbies you've heard of. There are a few things to take into account before attempting to draw absolute conclusions based on the listening experiences with Jake. First, please keep in mind that Jake was playing an acoustic ukelele, not an electric guitar backed by a rock band. When he and I whistled duets, my whistle was much louder than the sound of his instrument. It's a small little thing. That he can do so many things with it is astounding, and evidence of his brilliance. Second, the octave range of Jake's instrument is much smaller than that of a full symphony orchestra, and its dynamic range is narrower. A small speaker that will come up wanting on a Mahler symphony may shine with his ukelele. It is also not that surprising that some of the smaller systems seemed to perform more accurately than the CNO systems. The former were in small spaces, with listeners sitting far closer to the speakers, so there were far less room interactions and speaker drivers and radiation patterns and all that to deal with. You can, of course, deal with complex room interactions at home when you take your time and work systematically, but they are extremely difficult to address in a large hotel room in a set-up period of less than 24 hours (while working around restrictions against playing music after a certain time due to the guests above and below you) unless you start adding in electronic digital room correction devices or bring an entire truckload of acoustic paneling and other devices and have a large crew to quickly move everything around, all while the system is warming up and setting in. In short, the larger the system and the larger the space, the more the possibility that the end result is a crap shoot. 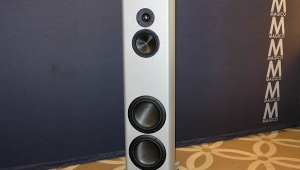 That many CNO systems sound as good as they do in show settings is, to my way of thinking, something of a miracle, and serves as major testimony to the expertise of the exhibitors. Bottom line: Beware of facile conclusions based on insufficient evidence. Just because someone pretends that 140 character tweets can replace complex analysis does not mean that audiophiles would be wise to do the same. When referring to Jake's recordings above, I was thinking about the sound of his recent album, which has electric bass, drums, percussion and yes, at times, electric ukulele. It did indeed sound astonishing on the CNO systems. So, essentially, since the CNO systems lined up behind the more 'real world' systems, the answer is that they were somehow held back? What the CNO systems give away in detail and intimacy, they will make up for in volume. Side note: Does anybody really think the CNO guys just come strolling into the Venetian the day before CES and say, "Well fellas, let's see what we got here. Anybody got some duct tape?" Any chance to find out the titles on the Jonathan Derda CD Mix, especially the Prince song? I love a great mix which really puts a system through it paces...do you think Jonathan would share...? Thanks! Since this is not a blog by Herb, I suggest you simply contact Jon directly via MoFi. A simple Google search reveals: jond@mofi.com. I prefer this year's one-room/one-post format over the Day X by each staff member that you've used before in which you included multiple rooms in one post. Easier to find equipment I might be interested in reading about. The idea of having a musician (Jake) play live and then compare to his recording on equipment doesn't seem like a valid AB to me. If I'm listening live to Keith Jarrett/Gary Peacock/Jack DeJohnette, Van Morrison, Andras Schiff, the Chicago Symphony Orchestra, Lyle Lovett -- they're always down on the stage in a concert hall and I'm in the best seat that was available and which I could afford. That's my paradigm for what I want my system to recreate in my listening room at home. I wouldn't want a system to produce sound that would suggest the musician(s) is/are standing ten feet in front of me -- regardless of whether acoustic, electronic or vocal. That's just not how I listen to music. I suppose it was a bit more novel of an exercise than having Graham Nash share his thoughts, but still -- didn't seem like a practical exercise. Finally, I can't imagine attending a trade show in Las Vegas. I've developed two projects that required multiple visits over the past decade there and I always stayed at the Marriott Courtyard because it was not attached to a casino full of cigarette smoke. How disgusting that must have been to endure that for multiple days. I couldn't have. Attendance was down for a reason, folks. The International Consumer Electronics Show is supposed to be an industry show, not a consumer show. 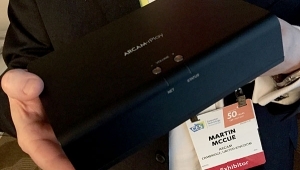 Shows like AXPONA, Newport (now LAAS), RMAF and others are consumer shows, which have a different emphasis. Historically, manufacturers went to industry shows (there was also a summer CES in Chicago until the early '90s) to display their new products to their dealers and international distributors, to meet new prospective dealers and distributors, to get international press coverage, and to partake in the party. Retailers went to meet their manufacturers, to find new products, and to go to dinner with the guys who designed and built the stuff they loved. And, Las Vegas was a lot smaller, easier to navigate, and a heck of a lot cheaper than the monstrosity it has grown in to. In those days, mostly before social media, before countless audio forums, before everyone getting online and sharing info in real time (and before drones, Alexia and the connected kitchen grabbed all of mainstream media's attention), CES was a great way to communicate and conduct business. 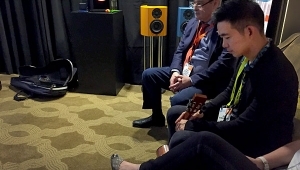 Most audio manufacturers are now abandoning CES because very few retailers, dealers and distributors bother going to CES. Years ago most dealers and distributors attended, but today that is not the case, a very (very) small percentage attend CES. High end manufacturers have plenty of consumer shows to support, but there is little or no return for spending a LOT of money to display at CES. As for dealers, why fight the hordes outside the hotels, the people going to the convention center? Why should a retailer bother attending a show to see new products when they can be found just as easily online? Why spend the time and money during what is a busy time of year for retailers? 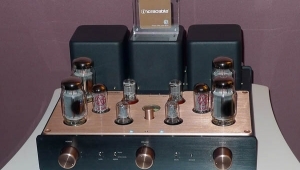 Don't expect the CES in Las Vegas to rebound for high end audio, it will continue to die a slow death. It's done. Costs are too high, participation is too low, and it's been going nowhere but downhill for a good number of years. Those of us who remember a completely packed Alexis Park Hotel, or going back even further, the Sahara Bi-level, recall a time when being able to exhibit at CES meant getting your reservation in early enough, because the venue would completely sell out. We remember when THE SHOW was held right next door to the Alexis, and had a substantial number of exhibitors on its own because there wasn't enough room at the main show. But THE SHOW folded its tent, and yet the Venetian continued to shrink. Where did everybody go? Well putting aside the fact that Vegas has become so stupidly expensive while simultaneously being one of the most annoying places on the planet to visit, CES has always been a trade show, first and foremost. And CTA has tightened the screws on attendance qualification, making it harder yet for any non retail attendee to sneak in. Where do the ranks of industry attendees come from, other than primarily retail establishments? And what's the status of high end bricks and mortar these days? Add to that the increase in the value of the dollar, along with the existence of the Munich show, and you now have the perfect storm of a drop in both foreign and domestic attendees. Then there's the regional North American shows that have popped up nearly everywhere. Exhibitors no longer see CES as their only expenditure. And all the other shows allow both the ability to meet with trade associates along with directly addressing the consumer. And it's cheaper to boot. 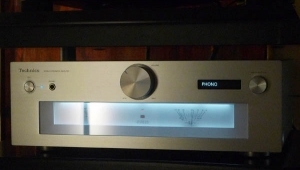 As was mentioned, the original purpose of the Venetian move was with the idea of promoting audio/video convergence in the high end. 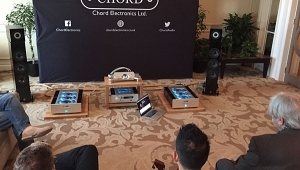 Where high end audio concerned, the promotion of that idea is long dead, and with it, the justification of the Venetian venue for high end audio exhibits. It's been sliding towards irrelevance for some time now, but the pace is now quickening. It's hard to believe that show management is not aware of this, but there doesn't seem much will to address it. I don't believe this part of CES will survive much longer. I do have some nice audio equipment, and I do follow CES (though I have never been there): The show is really about companies showing off their latest Technology with a capital T. If all that high end audio companies have to show are variations on speaker and amplifier designs, then CES is pointless for them. What is the new trick that this year's models can do that they could not before? 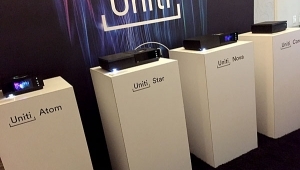 Maybe the likes of Elac or Naim with their newest uniti line have something to offer at CES but other than that it is hard to see what high end audio companies can offer here.